A while ago, I decided to make a recipe from Mark Bittman's book: Lemony Lentil Salad. Although the recipe wasn't perfect, I thought it was pretty good. I blogged about it. That's when my friend Cindy pointed out that "Silly, lentils are not the same thing as green split peas!! 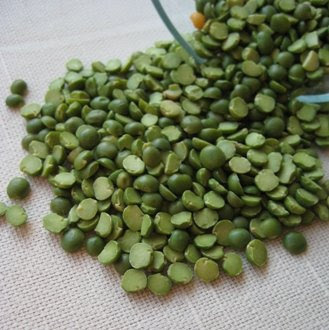 Peas are more creamy and sweet, lentils taste very earthy, taste more dry." Who would have known? Not me, certainly. 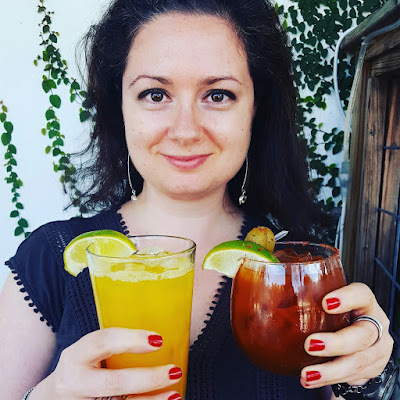 Last week I was testing a recipe for Robyn Webb's upcoming vegan book. The recipe was for lemony lentil soup with barley (more on this later). This time around I actually bought lentils: and Cindy was right: they do have a more earthy flavor and keep their shape in the cooking process. Split peas, on the other hand, are just that: peas that were dried and split in two parts. Most are either green or yellow. I've used mine to make my mom's version of Split Pea Soup. You can also cook and mash them for something different, or use them in stews. And then there are these: beautiful red or orange lentils. Did you know lentils come in many colors? They can be red, green, yellow, orange, and even black! Lentils are full of nutrients and are a good source for protein, iron and calcium. Use lentils in salads, soups, or Indian dishes. So, next time you are at a grocery store, pick up a bag of colorful lentils and make them for dinner. If you are looking for ideas, I have used these red lentils to make a very comforting Indian dish. 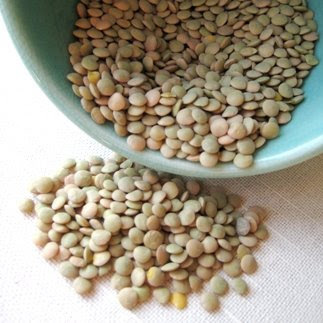 What are some of your favorite dishes to make with lentils or split peas? I like to make split pea soup. I use Heidi's (from 101cookbooks.com) recipe. I like to add red lentils to butternut squash/pumpkin soup and also to vegetarian chili. 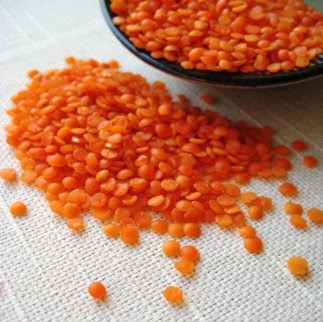 Unlike other lentils, red lentils do break down during the cooking process. For the chili, I just rinse them and throw them in at the beginning of the recipe. For the butternut squash, I cook them in the stock (along with the squash) and then blend everything together with an immersion blender. Hope you have fun with the lentils! You didn't fully answer the question accept that you and friend thought the tastes were diff.,what about,nutrients,cook time ,texture in say dal? I'm not sure about nutrition, but lentils definitely cook faster than split peas. Red lentils tend to disintegrate, while French (green) lentils hold their shape well. Hope this helps. I wanted to make split pea soup, but the store I went to did not have any in stock. I purchased lentils...will it still taste good? I will be using chicken stock, carrots, celery, onion and ham in a crock pot, then add the lentils later. I was planning on, for the split pea, food processing 3/4 of it to give it a creamy, yet some chunks still, consistency. Any advice or comment on this idea?? It sounds delicious! I haven't used a crockpot, so not a 100% sure how it will work, but only one way to find out ;) Report back!